While You Were Sleeping – Did You See That One? Lucy (Bullock) is a transit worker with a romantic side. 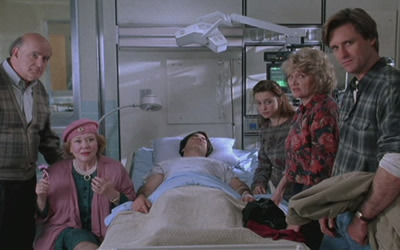 When she saves Peter (Gallagher) after he falls onto the tracks, she convinces his family that they’re engaged. Peter’s brother Jack (Pullman) isn’t as easily convinced, and he begins looking for the truth. The truth might be more surprising than he expects. This romantic comedy was directed by Jon Turtletaub (National Treasure) and written by Daniel G. Sullivan and Fredric LeBow. 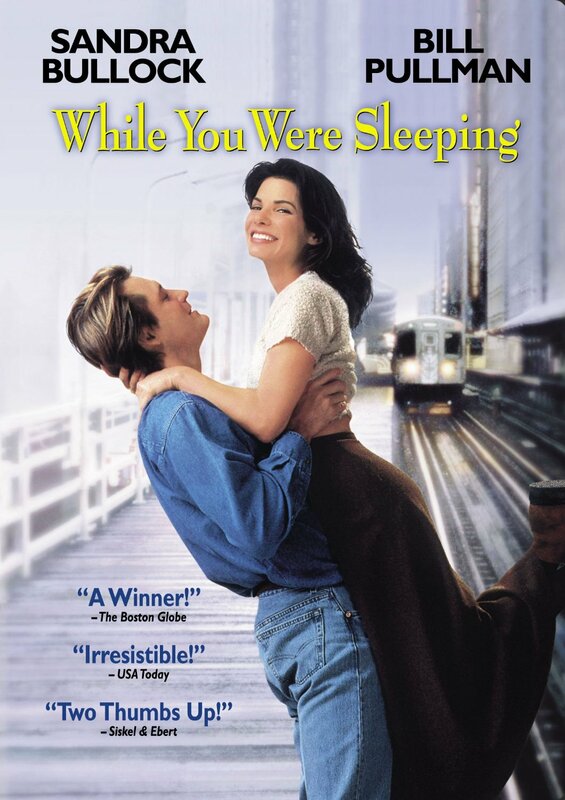 The cast features Sandra Bullock (Gravity), Bill Pullman (Wyatt Earp), and Peter Gallagher (American Beauty). The film also stars Peter Boyle (The Dream Team) and Jack Warden (Heaven Can Wait). This story features most of the same elements as the other romantic comedies of the 1990s. The characters are a mix of kooks, romantics, and straight-arrows. This mix can be a bit too predictable, but this film avoids that mistake. Instead, the writing is lighthearted and interesting. All of the great moments that you’d expect to see are right where they should be. The script also allows the dialogue to push into the sentimental aspects of the story in all the right ways. The overall feel of the film is a great one. The writers seemed to understand the routine romantic comedy structure, and they twisted it just enough to bring out a fresh and entertaining story. The acting in this movie is really good. Sandra Bullock was relatively unknown until Speed pushed her into the limelight. This was the sophomore film that solidified her position. Her performance has such a genuine sweetness to it that it’s almost impossible not to root for her. She also has a certain awkwardness that makes her far easier to relate to. She’s also able to pull off the comedic side of her role, which rounds out her work nicely. 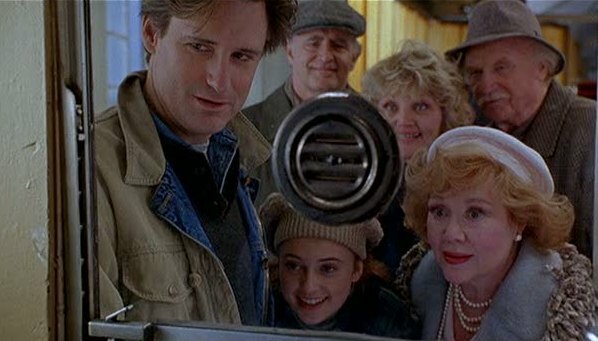 Opposite Bullock is Bill Pullman. He’s the perfect choice for one of the more serious characters in the movie. He also has good chemistry with Bullock that plays nicely throughout the movie. Peter Gallagher, Peter Boyle, and Jack Warden are just a few of the other talented actors in this movie. Along with the rest of the cast, these men all have great moments throughout the movie. Acting in this one holds up nicely, and works wonderfully with the story. Outside of the writing and the acting there aren’t any big surprises. That’s not a bad thing though. The film has great sets, costumes, and camera work that fit in with the feel of the story. The movie also has some great music throughout. Singers like Ella Fitzgerald, Paul McCartney, and the Glenn Miller Orchestra help to fill in the emotion of the movie. I like romantic comedies, especially when they keep things from getting too predictable. This movie did not disappoint me. If you’re a fan of any of the stars you should make sure to see this one. (If you already have, maybe it’s time to revisit it.) I would also suggest this to fans of romantic comedies in general. I give this one 4 out of 5 stars. The 1990s was a golden decade for romantic movies, all kicked off by When Harry Met Sally in ’89. What’s your favourite romantic comedy from that period? When Harry Met Sally is easily my favorite. It’s probably my favorite romantic comedy ever though. The 1990s did turn out some good ones. Have you reviewed When Harry Met Sally… yet? I have! The search bar will get you there, or just search by year on the menu bar. It’s broken up by decades. Pingback: The Proposal | Did You See That One?